Which one is your Color? through color, what color's we choose says a lot, not only about how we feel but how we would like to feel. Color is also used in healing as it has such a powerful affect on the body. This means that all color's can have a positive or negative effect. This effect depends on the individual, the extent of color use, and the purity or saturation of the hue. 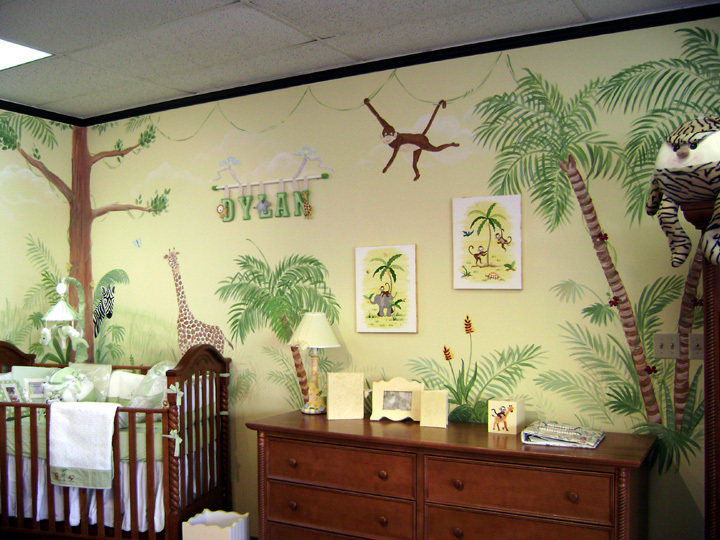 Young children love bright primary colors but large areas can be overwhelming. 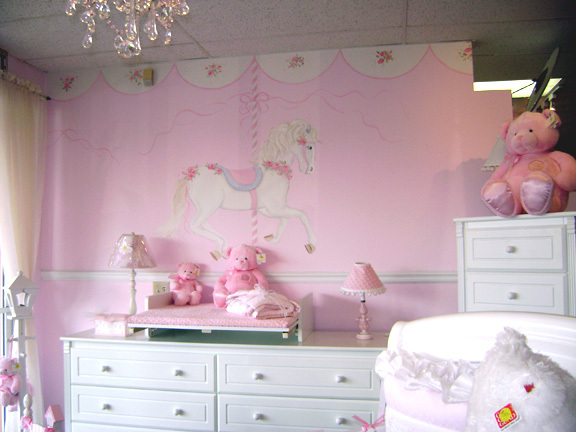 Decorating the nursery room with a subtle, calm color scheme is usually a better choice. Introducing warm colors - rose, peach or primrose - into your baby room decorating ideas will help create a feeling of coziness. While decorating the nursery with the cool colors - aqua, mint or sky blue - can create a feeling of spaciousness. But it is probably best to keep ideas based on this color range for a room with a warm, sunny aspect. Touches of bright primary colors bring extra interest and visual stimulation. 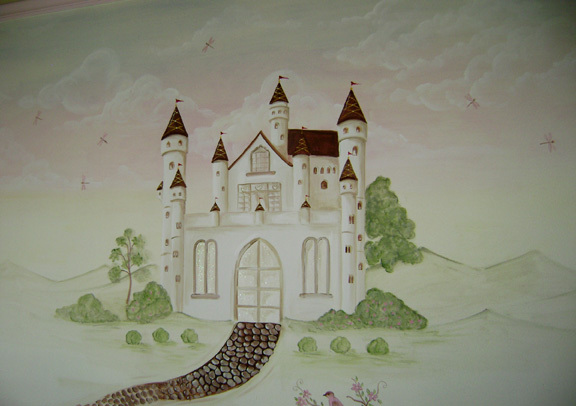 Introducing wall murals, nursery bedding sets, toys and accessories can transform a room. These are the finishing touches that can bring nursery décor alive! Yellow is a warm color and the color of intellect and it is used for mental stimulation, it will help you think quicker. It is also the color of clarity and insight . It is the brightest of all colors and has the greatest illuminating power. It is warm and cheerful and stimulates activity, communication, circulation and appetite. A warm color is the color of energy, excitement and vitality.Red, used in a large space, can be welcoming, energizing and invigorating, but it can radiate aggression. Red, in a small space, can be cozy, intimate, or claustrophobic. Green Is the color of harmony and balance. It is good for tired nerves and it helps with the heart area. It will balance the emotions and bring about a feeling of calmness. Green is a good general healing color.Green is a restful color so will aid sleep, it also represents nature, and therefore promotes balance, harmony, peace, hope and stability. Purple is a color that will connect you with your spiritual self. It is good for mental and nervous problems. Purple is associated with noble traits such as love, truth and justice. It is dramatic, sophisticated, sensual and imaginative. The color's of equilibrium. Lavender can help with spiritual healing and is used as a tranquilizer. All can aid sleep. Lavender is the color of replenishing and rebuilding, whilst pink and mauve are restful and calming. While red may be considered an energizing color pink is the most calming. For this reason the California children's probation department found that violent children had fewer outbursts when placed in a pink room. Orange is a warm color a social and exuberant color and represents ripeness, warmth and happiness. If used extensively, orange can be a very forceful color but is also a good grounding color. White is the color of purity. It will purify the body on the highest levels and will bring peace and comfort. White symbolizes light, triumph, innocence and joy and it gives the effect of enlarging a space and creates an atmosphere of coolness. Black represents an absence of light and color but can be a deep and restful contrast. It is sophisticated, elegant, dramatic and formal and gives a feeling of solid strength. It can be powerful, aloof and intimidating.